I was once again very pleasantly surprised with the outcome of using a baking mix (think Bisquick) for making a cake. 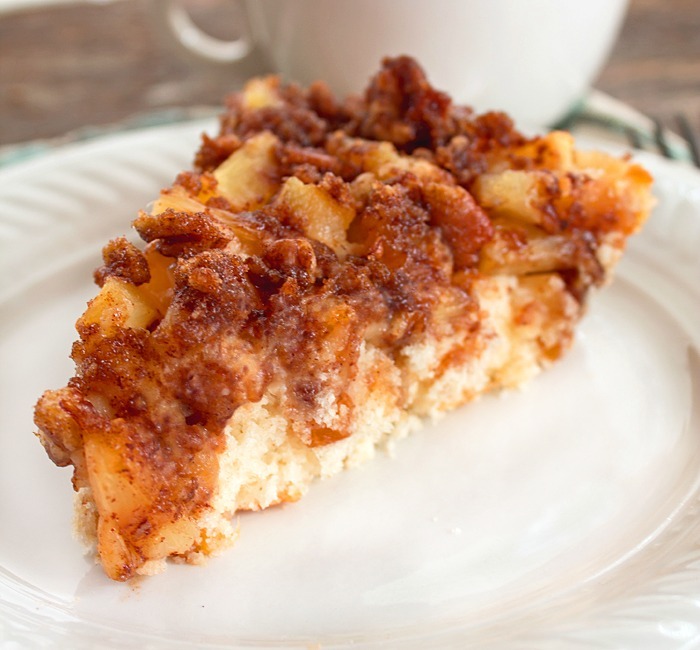 Evidently there are more ways to make a coffee cake with a baking mix than you can shake a stick at. 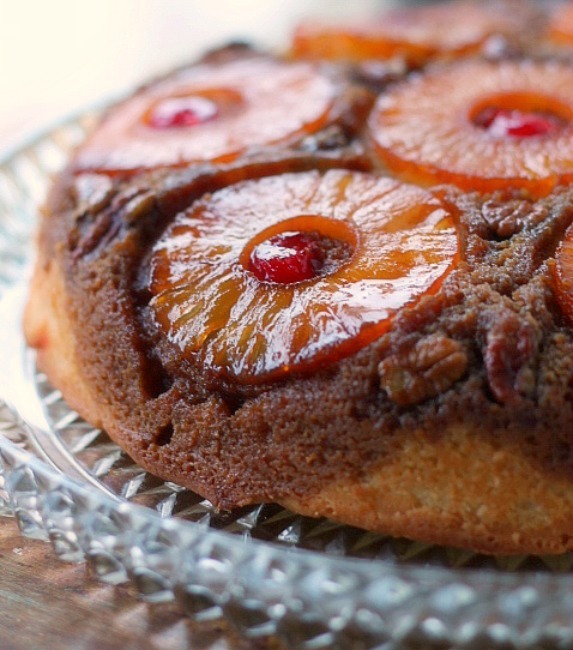 The coffee cake topping is going to remind you of a pineapple upside down cake. 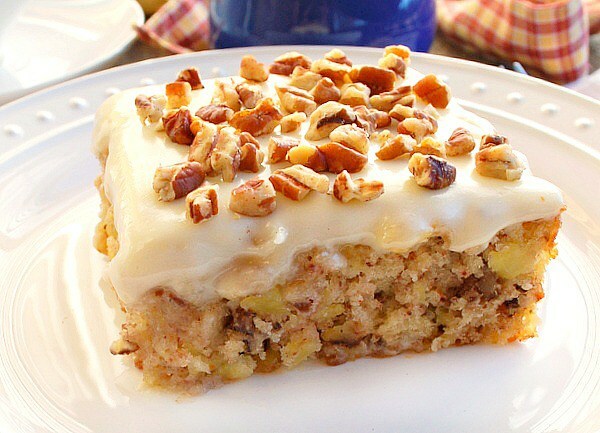 Brown sugar,pecans, cinnamon and butter mixed together then layered over pineapple. 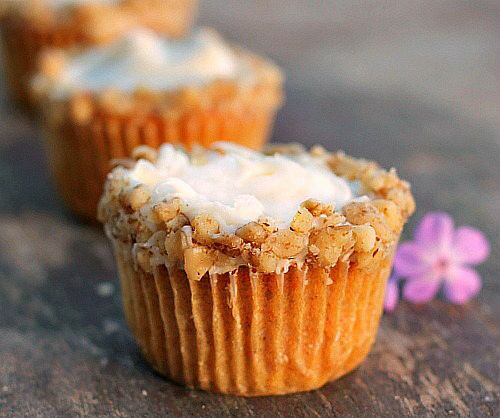 It fits perfectly with the white cake flavored with pineapple juice on the bottom. 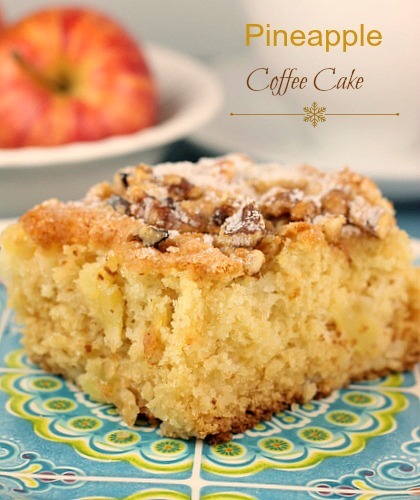 Pineapple Pecan Coffee Cake is quick to make with fantastic results. You’re going to love this one, Enjoy! The final product was quite tasty, but I share my comments and experience below. Timing: The recipe was not true to the timing as it took far longer to cook than indicated. We kept putting the oven on for additional 5-minute intervals, but it still did not pass the “toothpick test”. I am not sure in the end how many additional intervals we did, but I would guess a good 15-20 minutes more than the recipe states. Not quite like the picture: The photo shows more pineapple at the top than in reality based on the process outlined. (Of course, it is a food photo, so made to look perfect.) 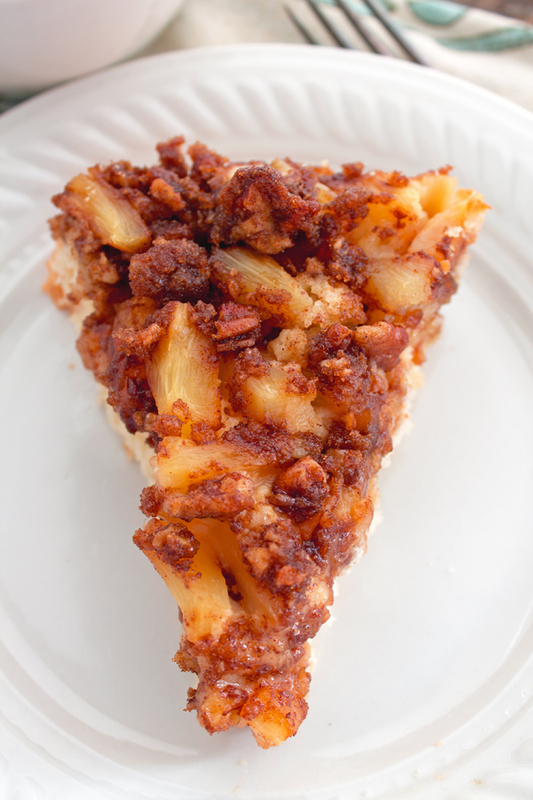 I think it would have been okay to reserve some of the pineapple to put on top along with the remaining sugar/pecan mixture to get the effect that is shown in the photo. Final Analysis: I wonder if the coffee cake would have been better if the process to prepare it was more like the process used to make a pineapple upside down cake, where the pineapple is on the bottom of the pan (versus on top of the batter) so that it dries out a bit more in the cooking process. The next time we make it, we will try it this way to compare. My husband suggested even mixing the pineapple in the batter. So, another possibility.